In order to answer the question, “What Mortgage Do I Qualify For?” there are many things to consider. In order to purchase a new home, most people need to apply for a mortgage that will cover up to 80% of their new property cost. The CAAMP’s Fall 2013 Report shows that Canada experienced an average annual growth for mortgage credit of over 8.6% in the past decade. The questions will be answered by first looking at the type of mortgages available on the market, and then defining what potential home-buyers need to take into account to qualify for a mortgage, and how that criteria affects the amount and type of mortgage they can acquire. Then you can Pre qualify for Mortgage Loan using our fast Pre-qualification form. 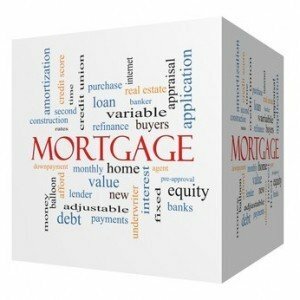 Here is more information about the type of mortgages based on these three factors. This section will be particularly relevant for answering the second question – ‘What mortgage do I qualify for?’. When applying for a mortgage, a clear repayment plan will be put in place to define how and when the repayments will be delivered, and at what interest rates. Open mortgages are based on a flexible repayment plan. While an initial repayment plan is still put in place, the home-buyer and mortgage provider can still re-negotiate the plan later on, without any additional interest or penalty. This is a very good option for people that plan to pay off the mortgage earlier and save on interest rates. Closed mortgages are based on a fixed repayment plan that cannot be amended or re-negotiated after the mortgage is signed off. In order to pay off the mortgage earlier than agreed, the home-buyer will have to cover additional interest costs or pre-payment penalties. While open mortgages are more flexible in terms of repayments, they tend to have higher interest rates than closed mortgages. It is important to forecast the costs in advance and calculate which option is better suited for your circumstances. Mortgages could also be categorized by down payment, into low ratio and high ratio mortgages. Low ratio mortgages, also known as conventional mortgages, require a down payment of around 20% or more of the property value. The high ratio mortgages requires less than 20% down payment. This influences the requirement for the mortgage protection insurance from one of the accredited Canadian companies such as Canada Mortgage and Housing Corporation, Canada Guarantee or Genworth Financial. In this case, low ratio mortgages do not require mortgage protection insurance, as the down payment is higher, but high ratio mortgages will need to be covered by insurance. This category refers to the interest rate of the mortgage repayment plan. A fixed rate mortgage locks in the interest rate for the entire duration of the repayment plan. Fixed rate mortgages could also include different repayment plans to save interest costs by repaying the credit quicker. Variable rate mortgages, also known as adjustable rate mortgages, do not hold a fixed interest rate throughout the duration of the repayment plan. In this case, the mortgage is set-up based on the interest rate at the time of borrowing, and then regular reviews are carried out to re-calculate interest rates and evaluate the payment plan. To start with, income security and gross annual income value will play an essential role in qualifying for a mortgage. The lender will want proof of income to ensure that the home-buyer has the financial ability to repay the credit on time. Assets and liabilities will also play an important role here, as well as the debt servicing. Another important factor is the home-buyer’s credit history. Lenders will carefully evaluate past credit history to ensure that the borrower is reliable. Last but not least, the home-buyer also needs to provide a down payment and be able to cover the closing costs. A mortgage specialist, also known as a mortgage broker, or you local branch could advise you on whether you current circumstances will enable you to qualify for a mortgage. Which mortgage do i qualify for? The criteria discussed above will also answer the second question, both in terms of the amount of mortgage you are entitled to and the type of credit available for your circumstances. For instance, the down payment is very important for deciding the amount of credit you can take out, as you will need to pay approximately 20% upfront. This also affects whether you are able to take out a high or low ratio mortgage and if you need to acquire mortgage protection insurance or not. Income security for the duration of the repayment plan is also very important. Lenders want to ensure that the borrower has a stable financial situation and can repay the credit entirely. The financial circumstances at the time of borrowing may also influence whether an open or closed mortgage is available and what interest rate will be applied to the repayment plan. If you are considering a mortgage application, use the information in this article to asses your current situation and make a note of the answers for the two questions discussed – ‘Will I qualify for a mortgage?’ and ‘what mortgage do I qualify for?’. This will help you to make an informed decision and save money and costs by ensuring that you are fully prepared and ready to apply for the right mortgage and buy the home of your dreams. ***This article relates to traditional financing. Amansad Financial Services also provides private and alternative equity mortgage solutions for borrowers that do not meet traditional lending criteria. 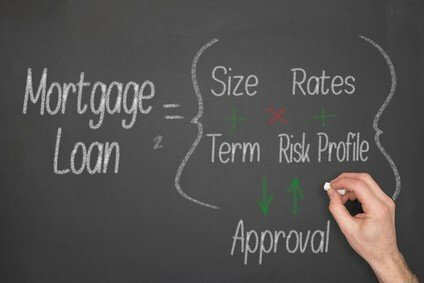 When you Prequalify for a Mortgage Loan with your broker it helps you figure out how much you can borrow from a bank. Lenders base this on your current income and hypothetical down payment. Knowing the amount you pre-qualify for helps to keep you from getting your heart set on a home that you will not be able to buy (at least not yet). When you go out and start looking at houses, the giant numbers that appear on the price tag can be intimidating and misleading. You might think that a $400,000 home will be easy to afford since you make $80,000 a year. However, in many cases, to get conventional bank financing you will need $80,000 to put down on the purchase. This can sober up first-time home shoppers quickly and make them think twice about buying. Many realtors ask that you have a pre-qualification letter from a lender or broker before you start shopping for houses. This will make any offers that you submit to sellers more meaningful, as an offer without a pre-qualification letter indicates to the seller that the buyer may have a difficult time finding financing for the loan. However, if you are dealing directly with the agent for the seller, you may want to keep the pre-qualification letter to yourself, because you don’t want the seller to know exactly how high that you can go. If you have your own realtor, his job would be to indicate to his counterpart that you have pre-qualified for the amount you are offering at the present time. To secure a pre-qualification letter, you will need to provide an estimate of your assets and income. It is better to provide as much upfront documentation as possible for accuracy. Some lenders or brokers may ask you to justify that estimate with proof of income and other supporting documents. At that point, you are provided a letter showing the highest loan you would qualify for on the basis of your current debt to income ratio. Some lenders allow you to pre-qualify online; it is important to remember that the less documentation you are asked to provide during the pre-qualification process, the higher the probability that the bank may reject your application later on the basis of an insufficient income history or assets. In addition, if you are putting less than 20% down payment, it is not only the lender that reviews, but it also needs to be approved by the mortgage insurer (CMHC, Genworth, or Canada Guaranty). Pre-qualification is not approval for a loan, so it is a mistake to view that pre-qualification letter as your loan agreement. Instead, this is just a way for you to find out if buying a home is a good idea for you and your possible price range. Even if you have a pre-qualification letter, if you are concerned about your credit score or income history but have enough to put at least 15 percent down on your home purchase, you might consider talking to Amansad Financial Services about a private mortgage. These are short-term loans (one to two years in most cases) that allow you to pay interest only or amortize over 25 to 35 years while building your credit and income history so that you can get bank approval at the end of the loan. This gets you into your home and starts you down the path of home ownership while you get your affairs in order so that a bank will be able to work with you. Amansad Financial also has other creative methods to assist when the down payment is only 10%. Give us a call if we can help in any way! Prequalify for a Mortgage Loan now through through our website.